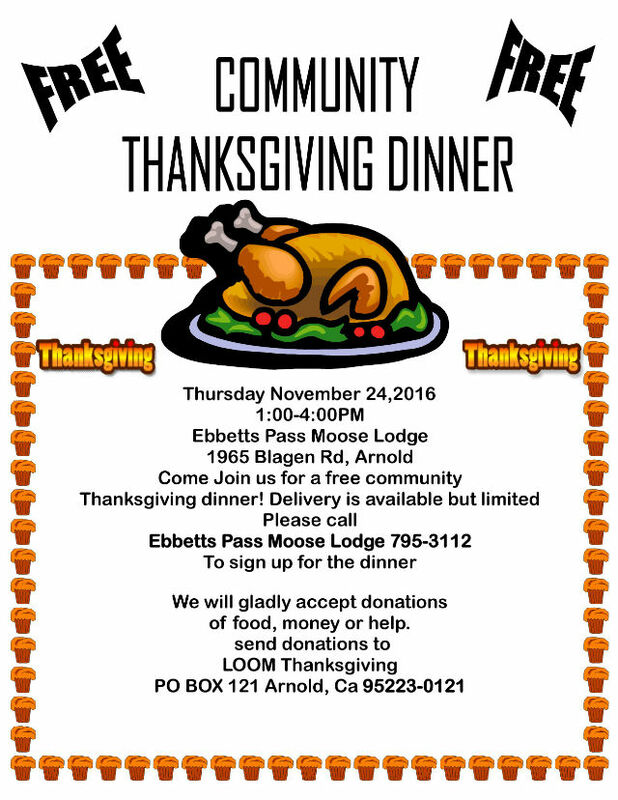 Arnold, CA...Come Join us for a free community Thanksgiving dinner! Delivery is available but limited. Please call Ebbetts Pass Moose Lodge 795-3112 to sign up for the dinner. We will gladly accept donations of food, money or help.